Multi CAMRA award winning club — Home of the Egham Beer Festival — Real Ale at Real Prices. 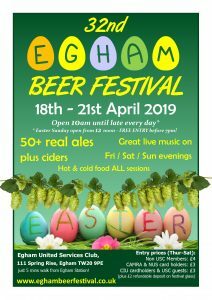 Please see the dedicated Egham Beer Festival website for more details and beer list. 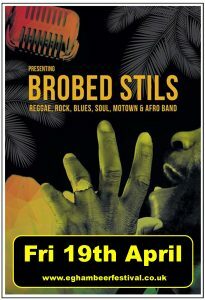 19th (Fri) – BROBED STILS – Reggae, rock, blues, soul, Motown and Afro band. 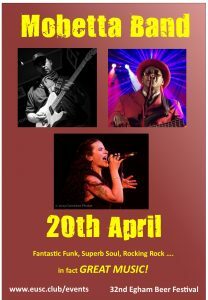 20th (Sat) – MOBETTA BAND – An evening of mixed up funk, soul and rock from this wonderful band that includes guitarist Moby Pomerance, bass player Spy Austin (Style Council, Desmond Dekker) plus gutsy vocals from the ‘pocket rocket’ that is Rowena Poole – everything gonna be funky from now on! 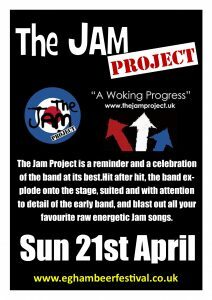 21st (Sun) – THE JAM PROJECT – is a reminder and a celebration of THE JAM at its best. Hit after hit, the band explode onto the stage, suited and with attention to detail of the early band, and blast out all your favourite raw energetic Jam songs. 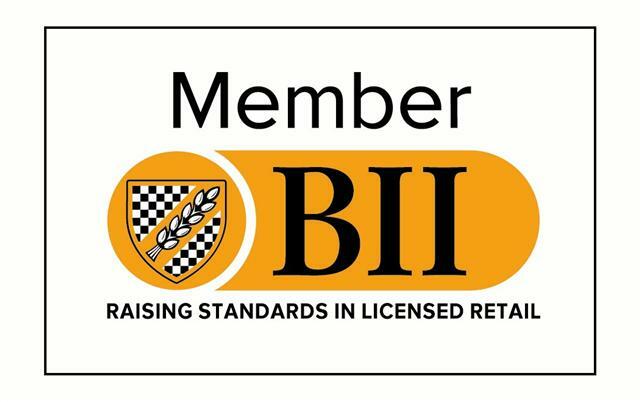 Non-members £5 on the door after 7pm. 27th – DISCO & PARTY – Disco music provided by the ever-excellent Francis! 4th – ELVIS NIGHT! 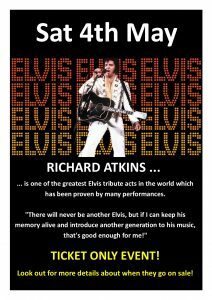 – RICHARD ATKINS … one of the greatest Elvis tribute acts in the world which has been proven by many performances comes to Egham! 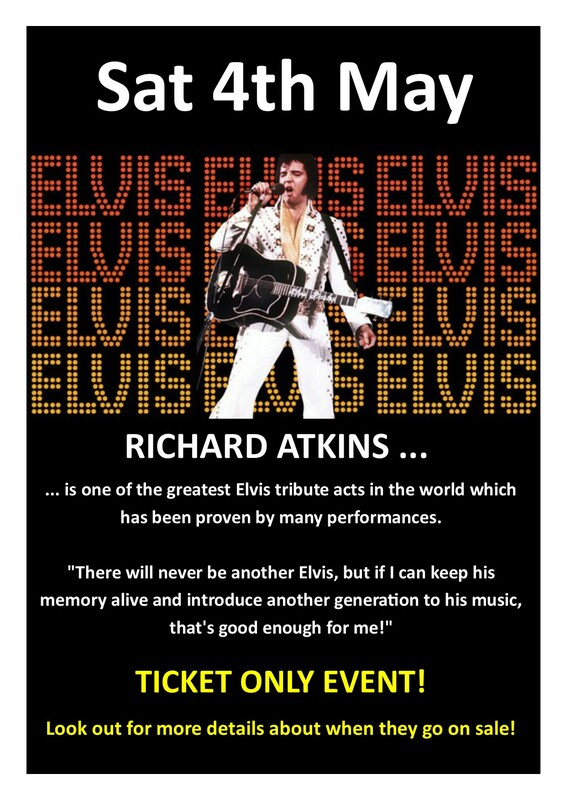 “There will never be another Elvis, but if I can keep his memory alive and introduce another generation to his music, that’s good enough for me!” TICKET ONLY EVENT! Tickets will go on sale at the beginning of April 2019. 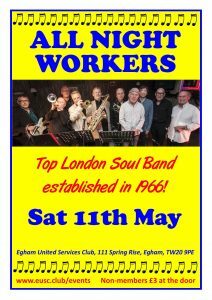 11th – ALL NIGHT WORKERS – a dynamic 10 piece soul/blues outfit with a 4-piece brass section that has gigged consistently since the 1960s. The BLUES BROTHERS meets THE COMMITMENTS – the hit sounds of Stax never sounded so good! Non-members £3 on the door. 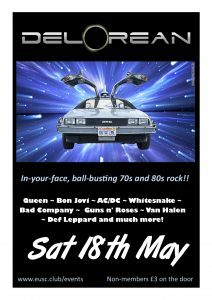 18th – DE LOREAN – fantastically accomplished Hertfordshire-based 70s/80s rock covers band that has rapidly become one of the best live acts we feature at the USC. Miss this one at your peril! Non-members £3 on the door. 1st – CHAMPIONS LEAGUE FINAL! 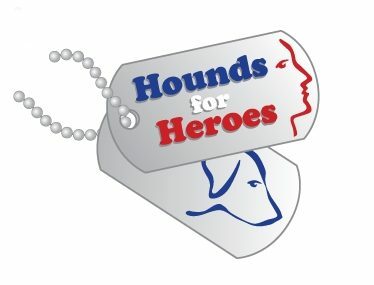 – possibly no band tonight due the football – watch this space! 8th – BAD PENNY – Fantastic, talented 3-piece rock band led by Jason Stretch (gtr/vocals) with Rob Owens on drums and new bass player Chris Wilson. Non-members £3 on the door. 15th – LIZA MARSHALL BAND – a night of something a bit different led by guitarist/singer Liza Marshall. Non-members £3 on the door. 22nd – THE WILD CARD – Fronted by vocalist/guitarist Justin McConville (Heavy Metal Kids, The Consuls) with Jerome Marcus (Drums/Vocals) and Chas Maguire (Bass/Vocals), Justin has played with 70’s rocker The Heavy Metal Kids for the last 8 years playing some of the most reputed venues and festivals in the UK and Europe, and supporting some of the UK’s leading acts. This power trio perform familiar rock & pop covers from a wide of material range from AC/DC, David Bowie, Pink Floyd, Tears For Fears, The Killers, Kings Of Leon and much more delivered in a rock format. Their experience comes from touring with bands Uriah Heep, BC Sweet, Slade and performing with Rory Gallagher, Bernie Marsden, Andy Fairweather-Low and more! Non-members £3 on the door. 29th – MOT: MUSICIANS ON TAP – Excellent 6 piece party band featuring 2 vocalists, guitar, bass, keyboard and drums. These went down a storm on their first visit to the USC in Feb 2019. Non-members £3 on the door. Date TBC – ALI MAAS and MICKY MOODY – Micky Moody (Whitesnake, Juicy Lucy) on guitar and vocals together with the soulful voice of Ali Maas and the blistering harmonica of Alan Glen (Yardbirds). Non-members £3 on the door. Date TBC – THE BLOX – Ian Dury & the Blockheads tribute band. Oi Oi! Non-members £3 on the door. Date TBC – SWAMPSNAKE – rock covers. This band turned out to be one of the most popular bands we’ve had in recent years when they first played here in September 2013. Don’t miss them this time around!! Non-members £3 on the door. Date TBC – 2 TONES BEYOND – More Mod music than you can shake a stick at!! Non-members £3 on the door. Date TBC – THE LOUDSHIRTS – The LOUDSHIRTS are a hard-rocking, close-harmony, rock covers band and a regular and popular act on the Surrey/Middlesex/London live music scene. Formed in 1988 by guitarist brothers Steve & Jeff Summers, personnel changes over the years has now produced the current line-up of Jeff Summers (guitar), Gary Summers (bass) and Nigel “Reg” Robinson on drums & percussion. Non-members £3 on the door. Date TBC – PREZENCE – classic stadium rock covers such as Led Zeppelin, AC/DC, Aerosmith, Bon Jovi and Black Sabbath. Non-members £3 on the door. Date TBC – 3rd DEGREE LEBURN – Everything this band do gonna be FUNKY!! Non-members £3 on the door. Date TBC – FULLY TWISTED – Old school rock. Non-members £3 on the door. Date TBC – CAMILLE and the DAREDEVILS – Rhythm & blues and rocking soul. Non-members £3 on the door. Date TBC – SPY vs SPY – a pairing of New York maestro guitarist Alix Anthony with bass supremo Spy Austin. These boys gonna be funky! Date TBC – ALLEYCATS – This polished six-piece outfit, plays a very broad cross-section of 50’s rock’n’roll. Their extensive repertoire stretches from rockabilly, through swing-jive, rhythm’n’blues, to doo-wop and includes classic hits from most of the major fifties stars. Non-members £3 on the door. 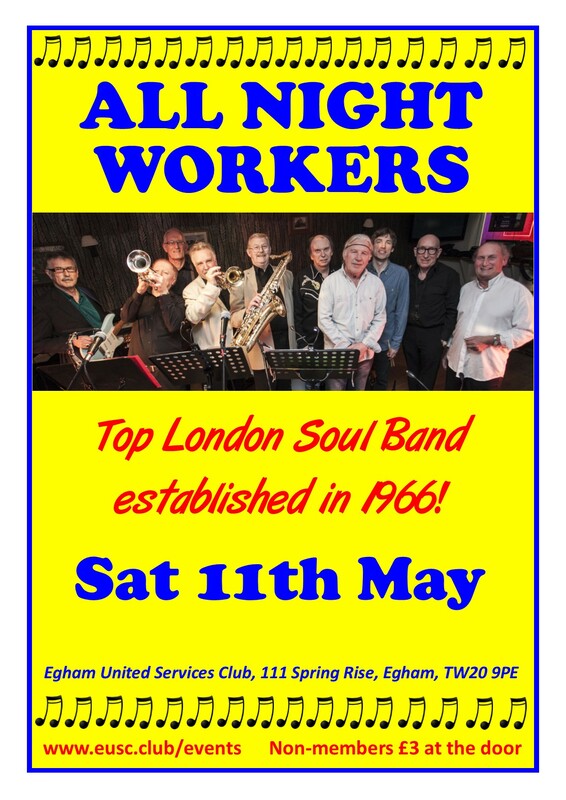 Date TBC – ALL NIGHT WORKERS – a dynamic 10 piece soul/blues outfit with a 4-piece brass section that has gigged consistently since the 1960s. The BLUES BROTHERS meets THE COMMITMENTS – the hit sounds of Stax never sounded so good! Date TBC – BAD INFLUENCE – Rock & Blues band with excellent female singer Val Cowell with a voice somewhere between Bonnie Raitt and Janis Joplin! Non-members £3 on the door. Date TBC – BAD PENNY – Fantastic, talented 3-piece rock band led by Jason Stretch (gtr/vocals) with Rob Owens on drums and new bass player Chris Wilson. Non-members £3 on the door. Date TBC – BARRY VENN’S FALSE PRETENCES – Talented bluesy rock band featuring Barry Venn (slide gtr), Jerome Marcus (drums), Spy Austin (bass) and Gary Sanford (guitar). Barry Venn has played with David Gilmour (Pink Floyd), Mick Ralphs (Mott the Hoople & Bad Company), Robin Lumley (Brand X) and Steve Simpson (Ronnie Lane’s Slim Chance). Gary Sanford has played with Aztec Camera and Joe Jackson. Jerome and Spy have played with many bands and have played at the USC several times too. Non-members £3 on the door. Date TBC – BE SHARP – Brilliant Kent based covers band bring stadium rock to Egham!! Non-members £3 on the door. 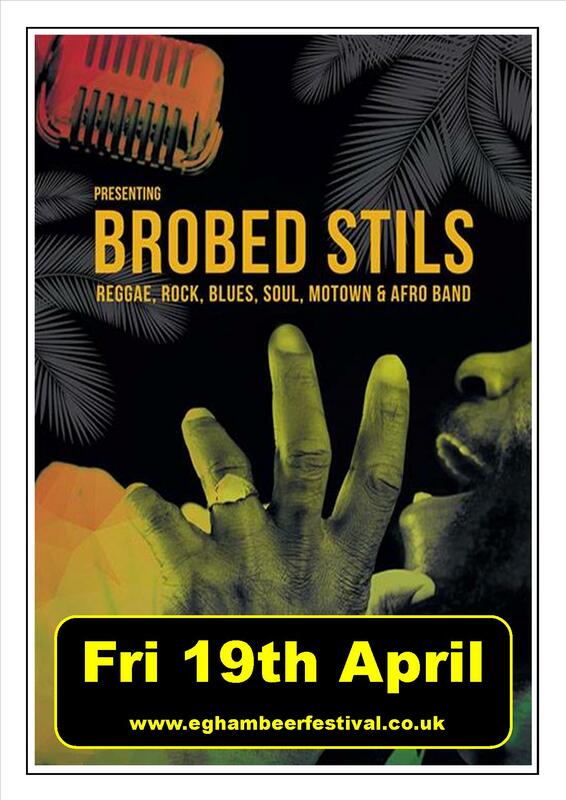 Date TBC – BROBED STILS – Reggae, rock, blues, soul, Motown and Afro band. Non-members £3 on the door. Date TBC – BROKEN BONES -Broken Bones features Ed Hudson and Smiffy both from legendary London rock band Bad II The Bone plus Les Binks (Judas Priest), Simon J Pinto and Dave Fowler. Classic rock anthems and heavy rock hits such as: HIGHWAY TO HELL /ACE OF SPADES /BORN TO BE WILD /PARANOID / SMOKE ON THE WATER. Non-members £3 on the door. Date TBC – CRY WOLF – Return of this popular rock covers band featuring Gary Davies (lead guitar), Tom Farmer (bass & vocals), twin brother David (drums) and younger brother Gary Farmer (rhythm guitar). This is a classic rock powerhouse!! Non-members £3 on the door. 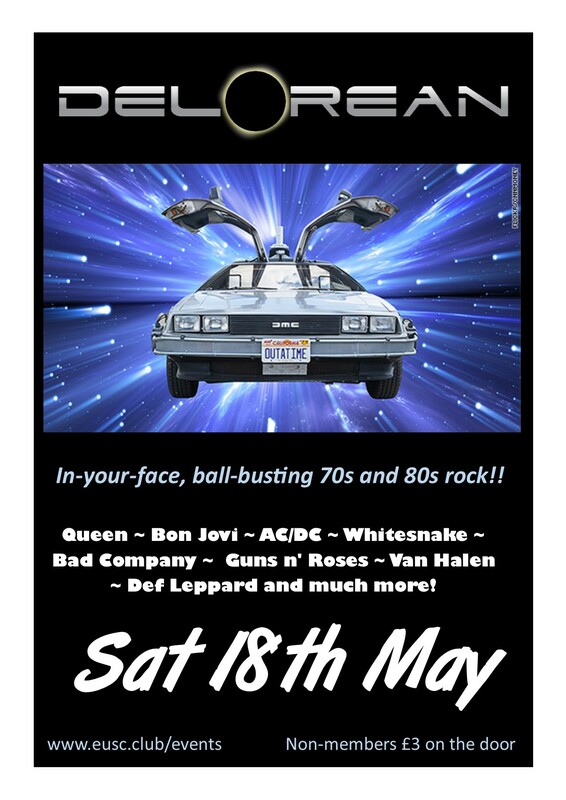 Date TBC – DE LOREAN – first visit of this Hertfordshire-based 70s/80s rock covers band. Non-members £3 on the door. Date TBC – DUKES OF ROCK – Rocking trio formed from the nucleus of Charlie Chandler’s Little Rock Band. 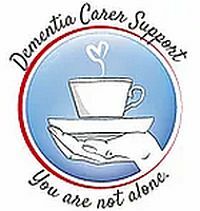 Performing songs from the last five decades, by the likes of Adele, AC\DC, Foo Fighters, Tom Petty, Fleetwood Mac, Muse, Rod Stewart, James Brown, Al Green, Stereophonic, Passenger, Van Morrison, ZZ Top, Cyndi Lauper, U2, Anastasia and Texas to name but a few. Non-members £3 on the door. Date TBC – EAT AT JOE’S – First visit to the USC for this band playing Blue-Eyed Soul, Jazz-Rock and Funky music. Expect Hall & Oates, Steely Dan and much more. Non-members £3 on the door. Date TBC – ENGLAND’S DREAMING – playing stuff from classic era punk tracks to today’s rock hits with a bit of Ska along the way – they’ll take you right back to the 70s and back to today in a 2 hour live music frenzy to suit all ages! Non-members £3 on the door. Date TBC – ENGLISH ROGUES – Hard-working South East based rock band that come highly recommended. Non-members £3 on the door. Date TBC – F2 – The Clash of the Guitar Titans – Pars Evrenos and Jason Stretch together!! Classic rock squared! Non-members £3 on the door. Date TBC – GOOD OLD BOYS – originally formed as a vehicle to play live Rock ‘n’ Roll whenever the members were free from touring with their own bands. The astounding response they received has led them to become a successful band in their own right and as a result the combined talents of Alan Barrett (Cliff Bennett & the Rebel Rousers), Nick Simper (Deep Purple), Peter Parks, Simon Bishop and Richard Hudson (Strawbs) provide a perfect blend for the 50s 60s Rock ‘n’ Roll / R&B enthusiast. Non-members £3 on the door. Date TBC – HIGHSIDE – the ultimate covers band playing popular music turned up to 11 ! Highside perform the best new music and rock classics geared towards creating an electric atmosphere : “Our aim is to make our audience feel as involved in the performance as the band, we encourage singing, dancing and crowd involvement, after all! 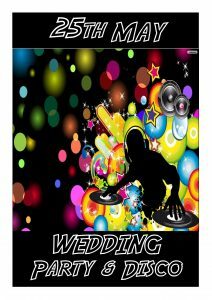 we’re all there to have a good time!” Playing covers from bands such as Bon Jovi, Foo Fighters, Queen, Kings of Leon, The Killers, Elvis, Green Day, Thin Lizzy, Stereophonics and Guns ‘N’ Roses to name but a few. Non-members £3 on the door. Date TBC – IN TOO CHIC – First visit of this four piece disco / funk covers band. 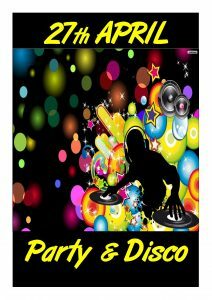 Fronted by a female vocalist, the band play the best of late 70’s and early 80’s Disco & Funk classics. The band members have a long background of playing rock covers as well so there may be some surprises! Non-members £3 on the door. 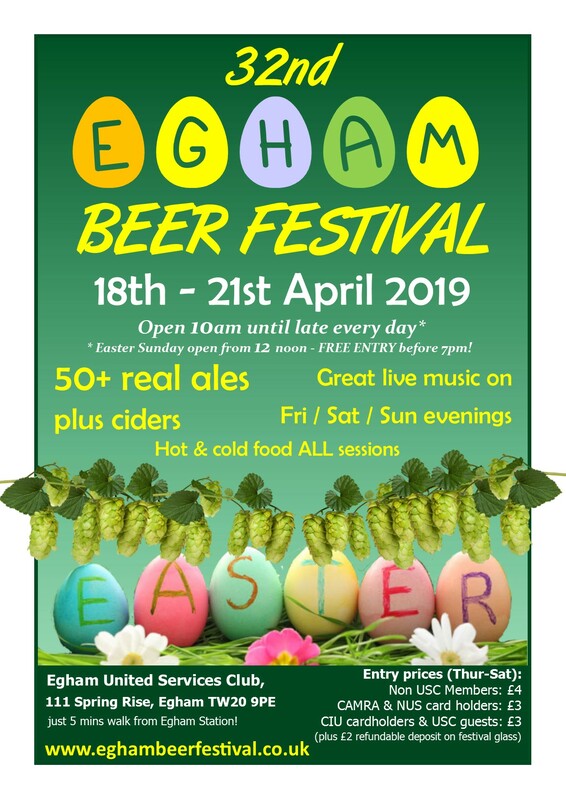 Date TBC – JAMIE MARSHALL – talented singer/songwriter/guitarist Jamie makes his *4th in 2015* visit to Egham to complete our Easter Beer Festival weekend musical line-up. Date TBC – JOE JAMMER BAND – A welcome return to this rock guitarist from Chicago – legend and showman!! Non-members £3 on the door. Date TBC – JOOST DE LANGE – a rock & blues treat from this Dutch based band! Non-members £3 on the door. Date TBC – JUICY LUCY – Now in it’s 48th year, Juicy Lucy were originally formed in 1969 and very quickly had a hit record with Who Do You Love. 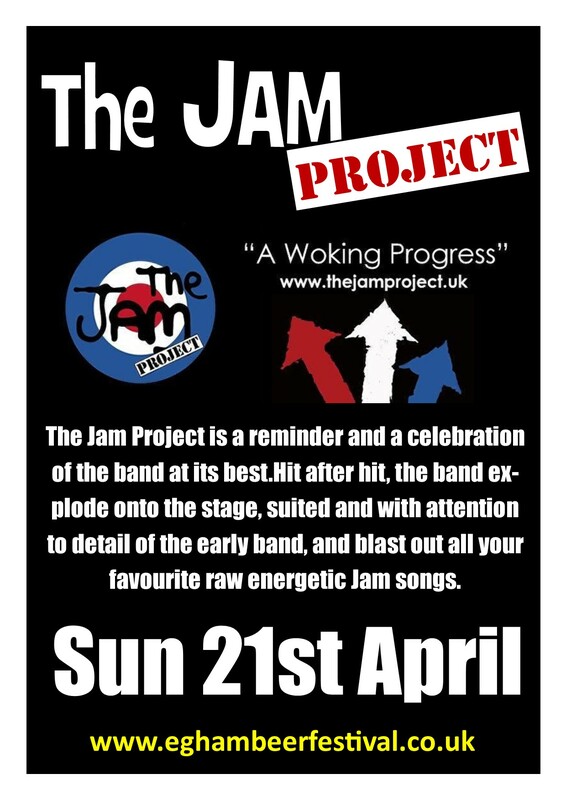 They had a successful re-launch at the famous Eel Pie Club in Twickenham in 2005 and have supported Nazereth, Wishbone Ash and Saxon on countrywide tours. Non-members £3 on the door. Date TBC – KAPTAIN KRUNCH – Finest classic rock/metal duo featuring ‘Kaptain’ Grant Chambers of the “Land Of Cain” on vocals and Pars ‘Krunch’ Evrenos of “Cry Wolf” on lead guitars.. Non-members £3 on the door. Date TBC – KAPTAIN KRUNCH & THE KILLER HEELS Acoustic rock from Skin & Blister sisters Avril and Rosie along with guitar supremo Pars Evrenos (Cry Wolf). Non-members £3 on the door. Date TBC – KATIE BRADLEY BLUES EXPERIENCE – Katie Bradley has been twice voted the UK’s best Blues Singer/Songwriter (in 2012 & 2015). Check out this amazing Blues/Soul Singer and her fantastic band you will not be disappointed! Katie’s love for many different styles reveals her to be a very exciting artist who can cover and write in a myriad of different Blues disciplines. Her range will haunt you deep down into the spirit of the Delta Blues and at the same time, raise your spirits up as she leads her great Band of musicians including: Kevin Dore (bass), James Fairfoul (guitar) and Andrew McGuinness (drums). Date TBC – KNUCKLE DOWN – 3-piece band featuring the excellent Tony Qunta (Guitar/Vocals), Chas McGuire (Bass/Vocals) and Jerome Marcus (Drums/Vocals). The band deliver an energetic and eclectic mix of modern rock through to retro classics from artists such as Muse, ZZ Top, Jimi Hendrix, David Bowie, Lenny Kravitz, Manfred Mann’s earthband and Pink Floyd! Non-members £3 on the door. Date TBC – LEECH – Versatile rock covers band. Non-members £3 on the door. Date TBC – MAD WOLF – Excellent local covers band who play great music including classic rock, blues and funk and just about anything else from their extensive song list. Non-members £3 on the door. Date TBC – MEMENTO – A new classic rock covers collaboration featuring the best talent from many of the live music circuit’s best bands. Non-members £3 on the door. Date TBC – MICKY MOODY BAND – Micky Moody has reformed the band and the latest line up includes Pete Stroud (bass) and Ali Maas (vocals). Non-members £3 on the door. Date TBC – THE MILLER FAMILY – This 6 piece band plays a lively mixture of funk, soul and rock including music from World Party, Stevie Wonder, Sly & The Family Stone and Van Morrison. Non-members £3 on the door. Date TBC – MIDNIGHT TOKERS – Voted best band at the Hersham Beer Festival, the Midnight Tokers are a ‘power-trio’ playing a wide variety of music, giving their unique take on artists ranging from Elvis to AC/DC. Good music, played well, you’ll go home with your foot tapping and a smile on your face. Non-members £3 on the door. 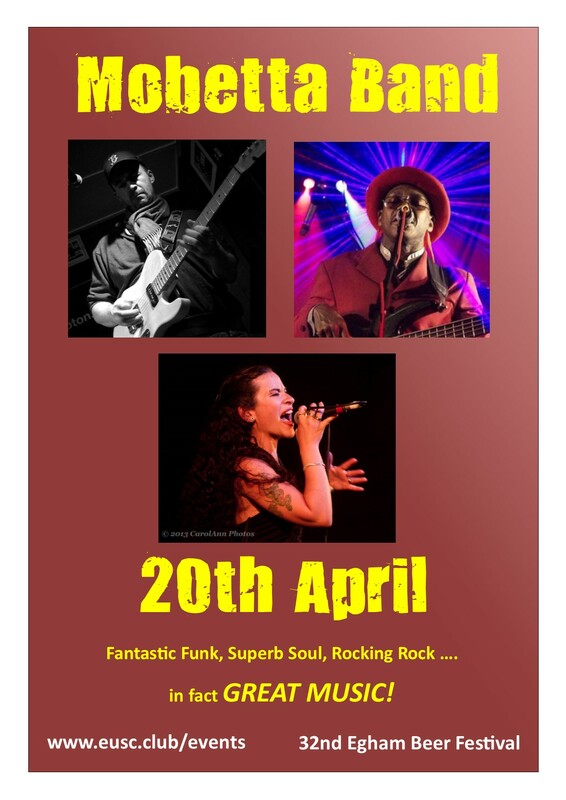 Date TBC – MOBETTA BAND – An evening of mixed up funk, soul and rock from this wonderful band that includes guitarist Moby Pomerance, bass player Spy Austin (Style Council, Desmond Dekker) plus gutsy vocals from the ‘pocket rocket’ that is Rowena Poole – everything gonna be funky from now on! Non-members £3 on the door. 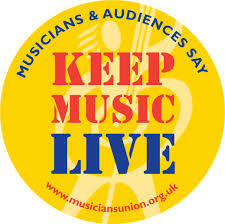 Date TBC – MOT: MUSICIANS ON TAP – Excellent 6 piece party band featuring 2 vocalists, guitar, bass, keyboard and drums. These went down a storm on their first visit to the USC in Feb 2019. Non-members £3 on the door. Date TBC – THE MOST – Maximum Beat & Rhythm! With the authentic sound of jangling Rickenbacker’s, the beating of the drums, boating blazers, Ben Shermans, bowling shoes, and ‘tonic’ suits, can mean only one thing – The Most taking you on a journey of Mod, from 1960’s to the ’79’ Revival, with all members of ‘The Most’ having a wealth of musical experience giving you the best performance every time they play. First visit to the EUSC. Non-members £3 on the door. Date TBC – NEVER THE AGREED – Rock Covers band Never The Agreed was established in 2014 under the name Afterburner, when the five came together to create the kind of rock band in which they’d always wanted to play. A band playing a variety of good, honest rock music with fun, flair and enjoyment. Having played in numerous other bands both UK based and internationally, they are ready to rock the local scene with a great set and a passion to entertain. Backed by a rhythm section that can hold down a swinging groove or provide a wall of thunder, the twin guitars add layers of light and shade, beauty and power, sweet melodies or full-on rock complementing a mighty vocal performance that belts out anthems with gusto or lays down a soothing melody, backed with dulcet harmonies. All this added to their unique stage performance, make a band that provides a great show, not just for rock fans, but for all fans of live music. Non-members £3 on the door. Date TBC – NO MUSTANG – Top class, high performance 4-piece band now playing music from the 60s thru to the 80s! They guarantee to have you up dancing from the moment they kick-off and guarantee 100% there’ll be ‘No Mustang…..’! Non-members £3 on the door. Date TBC – REV – top quality trio playing classic hits from yesteryear to get you up on the dance floor. Sing, party and dance as you’ll be ‘shakin all over’ and ‘rockin around the clock’! Non-members £3 on the door. Date TBC – THE SCALLYWAGS -West London based band known for mixing great music with as much fun as they can possibly cram into every gig! Playing together for over 10 years, The Scallys have a varied set list to cater for all tastes. Non-members £3 on the door. Date TBC – THE SCOUNDRELS – highly polished, rocking covers band delivering a high-energy sound … playing pop, rock and funk … from classics to charts. Non-members £3 on the door. Date TBC – THE SHARPEEZ – top rhythm & blues/rock guitar band (not a cover band) delivering a professional, no compromise performance of some of the best blues and rock music from the eras influenced by Rory Gallagher, Tom Petty, Dr Feelgood, George Thorogood, The Stones….. Non-members £3 on the door. Date TBC – SHIFTY LITTLE SISTER – Shifty Little Sister are a local 4-piece band playing an eclectic mix of jazz, blues, and latin grooves. Non-members £3 on the door. Date TBC – THE SKANGSTERS – Berkshire’s premier Ska band playing Ska, Reggae and Two-Tone classics. Ska with attitude! Date TBC – THE SKIN AND BLISTER BAND – talented six-piece Windsor based band with influences from West Coast California to the sound of the Deep South. Good old Southern Country Rock & Blues. Influences include The Eagles, Creedence Clearwater Revival, Rolling Stones, Mamas & Papas, Stealers Wheel, Lynyrd Skynyrd. Non-members £3 on the door. Date TBC – STEVE CARROLL & MEGAN LUNA RHODES – Please join us for some Irish entertainment with USC favourite Steve plus Megan. Non-members £3 on the door. Date TBC – STEVE WHALLEY BAND – Steve Whalley has fronted bands such as SLADE and SAD CAFE during a distinguished career working alongside many of the rock & blues greats! Steve took over the job as front man with Slade after Noddy Holder hung up his platform shoes, very difficult shoes to fill indeed but for 15 years Steve toured the world with Slade and made the gig his own. With his soulful, blues rock voice he gave Slade a distinctive sound that took the band into the 21st Century. Non-members £3 on the door. Date TBC – STEVIE & THE SHAKEDOWN – a night of hot rockin’, jump blues, swing, R’n’B and good old Rock ‘n’ Roll! Non-members £3 on the door. Date TBC – STOLEN ID 5-piece rock covers band originally formed over 10 years ago. Since then the members and band name have changed several times to evolve into what has become today, one of the leading names on the local rock music circuit.The band consists of Sean Roddy (Vocals), Donny Spinks (Drums), Frank O’Donnell (Bass), Steve Dowdell (Keyboards) and Santi Rigolizio (Lead Guitar) and have established a following of those not wishing to just see ‘standards’ that get played by other bands, but material that few would attempt, which has made them the pick of top venues in the area.Competent musicianship and a professional attitude is what has put them at the top level of ‘must see’ live acts where ever they play. First time at Egham USC. Come and see if they live up to their hype! Non-members £3 on the door. 12th – THE WILD CARD – Fronted by vocalist/guitarist Justin McConville (Heavy Metal Kids) with Jerome Marcus (Drums/Vocals) and Chas Maguire (Bass/Vocals), Justin has played with 70’s rocker The Heavy Metal Kids for the last 8 years playing some of the most reputed venues and festivals in the UK and Europe, and supporting some of the UK’s leading acts. This power trio perform familiar rock & pop covers from a wide of material range from AC/DC, David Bowie, Pink Floyd, Tears For Fears, The Killers, Kings Of Leon and much more delivered in a rock format. Their experience comes from touring with bands Uriah Heep, BC Sweet, Slade and performing with Rory Gallagher, Bernie Marsden, Andy Fairweather-Low and more! Non-members £3 on the door. Date TBC – THUNDERHEAD – plays a selection of songs by classic artists such as Bad Company, Deep Purple, Free, Joe Walsh, Pink Floyd, The Rolling Stones, Status Quo, Thin Lizzy and many others. The band is a new project by Doug Lipinski (Alternators, ex-Blue Fuses, ex-ZAPPED!) and Keith Elford (Alternators, ex-ZAPPED!) with John Hiles and Nick Potter, also well-established members of the Surrey and south-east music scene. Thunderhead are determined to give audiences a great experience of entertaining and high quality rock.. Non-members £3 on the door. Date TBC – TIGHTROPE – Jason Stretch (Bad Penny) has teamed up with a cracking quartet of musicians – Mark Preston (keyboards), Alistair Martin (bass) and Jerome Marcus (drums) – with this new vehicle to play great classic rock! Non-members £3 on the door. Date TBC – TRIPLICATE – three seasoned pro-musicians with many years experience, having worked alongside the likes of Rory Gallagher, Bernie Marsden (Whitesnake), Wishbone Ash and the Blues Band. Chas McGuire (bass/vocals), Jerome Marcus (drums/vocals) and the irrepressible Jason Stretch (lead guitar and vocals) Triplicate will deliver energetic rock covers and retro classics from artists such as Deep Purple, Led Zeppelin, ZZ Top, Jimi Hendrix, Pink Floyd, Pearl Jam and more. Non-members £3 on the door. Date TBC – UGLY GUYS – Cosmic American country rock from Southend on Sea led by ex-Kursaal Flyers’ frontman Paul Shuttleworth! “They play like veterans but rock like 18 year olds!” Non-members £3 on the door. Date TBC – UP & RUNNING – This band of experienced musicians originally formed in Kew as the Jaguars and have been performing music from the 60s/70s/80s for 40+ years. Non-members £3 on the door. Date TBC – VINYL FRONTIER – Classic rock covers from the 60’s to the present. Date TBC – WILLY FINLAYSON & the Hurters –“Finlayson plays guitar and sings like God” says former Mean Fiddler promoter Pete Feenstra. Sentiments echoed by the music press including blues magazine Blueprint who said of Finlayson “this man should be a household name”. This charismatic performer, who fronted seminal bands Bees Make Honey and Meal Ticket, is still steamrollering audiences with THAT voice. Non-members £3 on the door. from noon till 9pm daily. CAMRA Good Beer Guide - the real ale drinker's bible, features Egham United Services Club for the 11th year running! !